← New Video – Pac Div "Anti-Freeze"
Trademark Da Skydiver, Young Roddy & Curren$y collaborate to bring fans their latest street project, Jet Life To The Next Life. The project is comprised of new material and previously leaked tracks for your enjoyment. 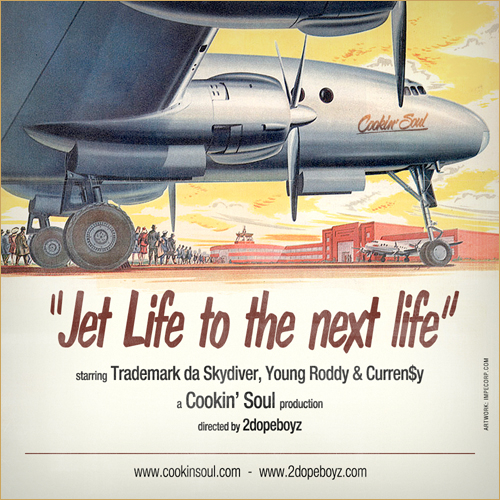 This entry was posted in Curren$y, trademark da skydiver, young roddy. Bookmark the permalink.